I love internet radio. And I love iTunes. So the next logical step would be for me to manage my favorite radio stations in iTunes – preferably in a special playlist only so that the radio stations don’t clutter up my iTunes library. 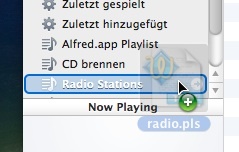 Now, iTunes comes out-of-the-box with some predefined radio stations. You can simply drag your favorite radio stations to your playlist. However, iTunes’ radio station list is far from complete. 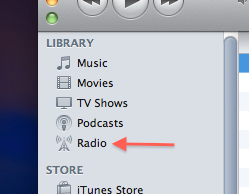 So it would be nice to be able to add new radio stations to iTunes. The first thing you need is the URL to the live stream of the new radio station. Unfortunately, there is no way to add this URL to iTunes’ “Radio” section. Although there is the menu item “Open Stream…” (in the “Advanced” menu) that let’s you open any live stream, this live stream would be added to your iTunes library. Why is this a bad thing? Well, you can’t edit the meta data (eg. genre, title, artist, …) for live streams. If you stop a live stream and then play it again, the meta data will be reset to whatever the live stream tells iTunes. So you’ll end up with a lot genres in your genre list you don’t want to have. The alternative is to add the live stream just to a playlist without adding it to your library. This is possible. Simply drag the live stream’s playlist file (with .pls file ending) to your iTunes playlist. This will add all entries in the playlist file to your iTunes playlist without adding them to your iTunes library. That’s it. 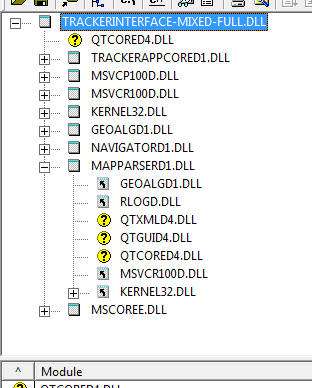 Replace the values of File1 and Title1 with your live stream’s URL and name respectively and save the file as radio.pls. Now you can drag it to your iTunes playlist and you’re done. Hint: You may want to activate “Repeat One” (in iTunes lower left corner) for this playlist. This prevents iTunes from going to the next radio station in the list when there is a problem with the one currently playing.